Inbound marketing is now one of the most popular and most effective forms of interacting with your audience in the digital space. 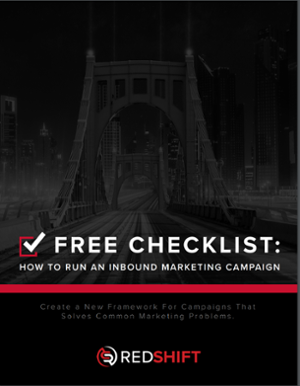 However, it’s often hard to nail down an inclusive and effective inbound marketing strategy specific to your business and your potential customers. Inbound marketing can be broken up into three separate stages in regards to the customer experience – Attract, Engage, and Delight. Each one of these stages focuses on a different part of the sales process. By learning some of the best tactics to use within these stages and utilizing the tools that are available to you, you can make your entire inbound marketing strategy more effective and efficient. The first thing you need to focus on is drawing people into your website. People are not going to purchase your product or retain your services if they don’t even know you exist. Think of it like you just opened up a new restaurant in a crowded city. You might have the best food in town, but if no one knows about you, they’ll likely just walk on by. You need to entice people to come in the door before you can work on selling them your food. Your website is no different. Before someone even clicks on the link to visit, they need a reason to do so. Your potential customers aren’t out there just visiting random websites in the hopes that they provide them with some sort of value. Instead, they are actively going to the sites they think have a chance at helping them. Social Media – Social media is now one of the best tools businesses have at reaching their audience. You can promote your products and interact with your customers, all for a relatively low budget. Make sure that you have an account on each of these and that you are using them regularly to engage with your audience. Search Engine Optimization – Search engines are the primary way we find the information we’re looking for online. Google has set the standard, and is by far the most popular search engine. By optimizing your website for search engines, and specifically Google, you make it more likely that your website will appear highly in the search results. Studies have shown that the higher you appear in search results, the more visitors your site will gain by a large margin. In fact, there is a big difference between appearing on the first page of Google and the second. Paid Advertising – If your budget allows, there are several places you can advertise online – at the top of search engines, on social media, on other websites – and each one will work to attract visitors to your website. With paid advertising, you can advertise your website to very specific niches, which is great for attracting leads. You can also easily track your results, so that you can improve your campaigns over time. To learn more about paid search advertising here and paid social advertising here. Blogging – In order for these three methods to be effective, you need to focus on what is at the heart of inbound marketing – quality content. By creating quality content on your website (like blog posts), you have something to promote on social media, more opportunities for people to find you on search engines, and more things you can advertise. Repeatedly posting links to your homepage isn’t going to get you very far – you need to give people a reason to visit and engage. Now that you’ve gotten some people to your site, you need to keep them there. To do this, you’ll want to focus on two things. First, you should have things on your website to instantly engage your users. Some things you can consider adding are chatbots, or helpful videos/images. These draw your users in right away, making it less likely that they will leave. You can also have a spot where users can sign up for your email newsletter – allowing them to obtain additional information not necessarily available on the site. Second, your page should have a strong call to action. Without a call to action, your visitors will not have anything to do once they’ve finished reading your site. You should have links that say something along the lines of “Click Here to Buy Now” or “Sign Up for Our Newsletter Here”. Make your call to action easy to find, simple, and bold. Try out different calls to action and see which ones work best. A great tool for this is split testing. Your goal during this stage is to take the potential customers you’ve brought in and turn them into actual customers. You won’t convert everyone, but the more you convert, the better off you’ll be. Finally, the third stage of inbound marketing is to turn happy customers into vocal supporters. Going back to our restaurant example, imagine you provide one guest with an amazing meal and experience. They are so happy that they turn around and recommend your restaurant to everyone they know. Now you’ve extended your marketing reach exponentially, all by simply focusing on a good customer experience. You can do the same thing for your website. Through each aspect of your marketing efforts, and the customer’s journey, you should be keeping three ideas in mind – Be Human, be helpful, and be holistic. What this means is that you want to come across as genuine with your customers, keep their wants and needs in mind whenever you are creating a product or publishing content, and link all aspects of your marketing strategy together. Ideally, happy customers will become promoters for your brand. But, even if they don’t, you can still put them to good use. A great way to do this is with a customer satisfaction survey. Through a survey you can learn things like what sort of changes to make to the website, what sort of products to offer, or which demographics to target. Happy customers (or even unhappy ones) are an invaluable resource, so do everything you can to make use of them. When appropriately marketing to your customers at each stage of the buyer’s journey, you set up a system that can benefit your company for a long time to come. If you’d like to learn more about effective inbound marketing tactics to engage your customers, please feel free to contact us at any time.